http://Lizzy11268.booklikes.com Liz Loves Books.Com. 5.0 Do No Harm - mini review. text Do No Harm - mini review. 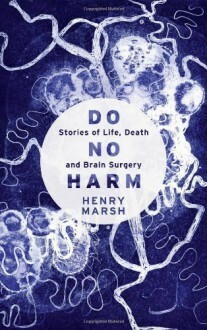 Fascinating insight into the world of neurosurgery from Dr Henry Marsh - a man who whilst obviously super talented and a true life saver also comes across as utterly human, torn when things go wrong and truly grateful when things go right. Highly Recommended. Full review to follow.